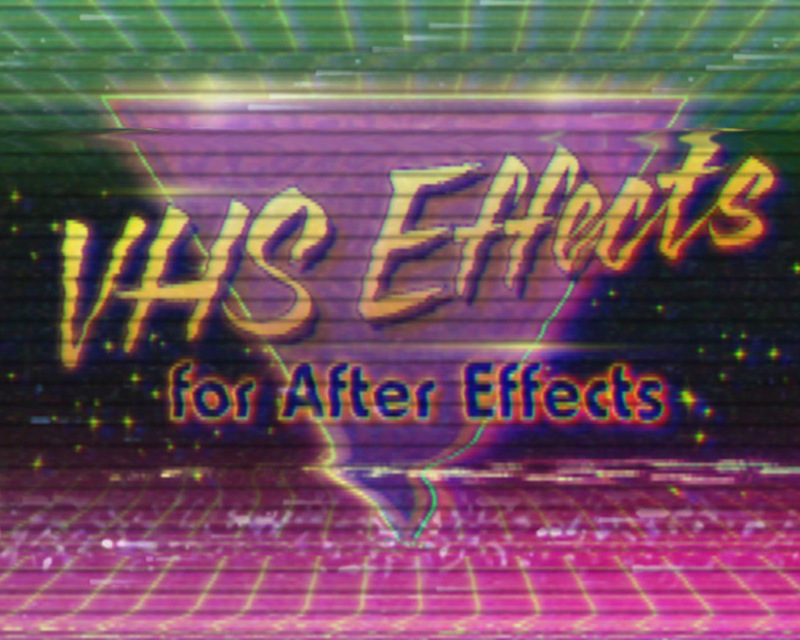 Creation VHS Effects for After Effects is a collection of authentic-looking effects for making your footage look like a damaged VHS tape or analog TV signal. Watch the Demo Video for Creation VHS Effects. Creation VHS Effects is a huge collection of effects for making your footage look like a damaged VHS tape or analog TV signal. Included are 8 finished VHS looks (presets) so you can just drop in your footage and be ready to export. Or, build your own damaged VHS look using the 90 included effects, comprised of customizable video glitches, audio effects, transition effects, and stock footage. Effects are customized with easy-to-use slider controls, and are easily applied to your footage by copying and pasting. 8 finished comps emulating ruined VHS videos. Effects are on their own individual layer and are customized with slider controls. 28 unique video effects emulating VHS glitches. Effect intensity, behavior and look are all customized with slider controls. Most effects are applied using a simple cut-and-paste action. 17 glitchy transition effects. A variety of quick static, warping, and signal interference effects with audio, for use on the cuts in your video. 18 TV-static stock footage clips, which can be composited over your footage and looped for realistic a snow / static effect. 24 signal-disruption sound effects, most of which are 10 seconds or longer, and can be looped continuously. Automatic pitch modulation, volume modulation, and EQ for messing up your audio to match that of a bad VHS tape. Complex expressions allow for unlimited and random results on effects, meaning comps or effects can be set to any length and no two frames will be alike. This template works with After Effects versions CS3 and all later versions. No plugins are used in this template. The song and placeholder footage (home movies) in the demo video are not included. Comps are in full HD (1080p).